You must be thinking is that possible. Although Mac runs on Apple Software and Android is another software. Yep both cannot be integrated. Here in this Article we are going to know on how to run any Android apps on Mac. 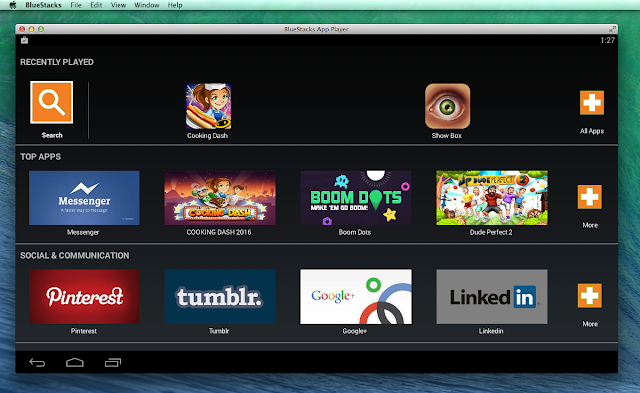 Bluestacks is a software which allows us to run Android apps in Mac. Simply for Layman it is simply an emulator.It has lunched a new version in April 2015. For running the Android apps you have to download the app (link down below) and allows you to sign into your Google account so that apps and games can be played. User can control the game with mouse and keyboard which makes it easier and you feel like playing normal games in Desktops. According to IBTimes "The software use your computer's microphone and camera and even has native graphics support to make high-end gaming even better." . 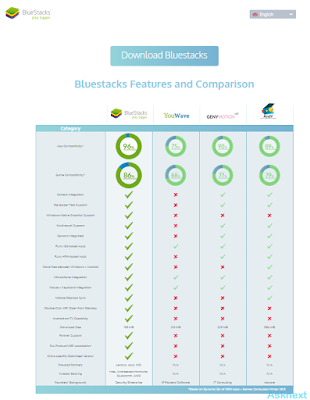 1) Download the Bluestacks from here. 3) Sign into your Google account. 4) Search your app in the search box and download it. So enjoy your Android games and Apps in the Mac. Tell your views on Bluestacks and Comment.